Elisha is a born and raised Floridian. She has an AA degree from St. Petersburg College and is currently working on her AS in veterinary technology in order to become a certified veterinary technician. 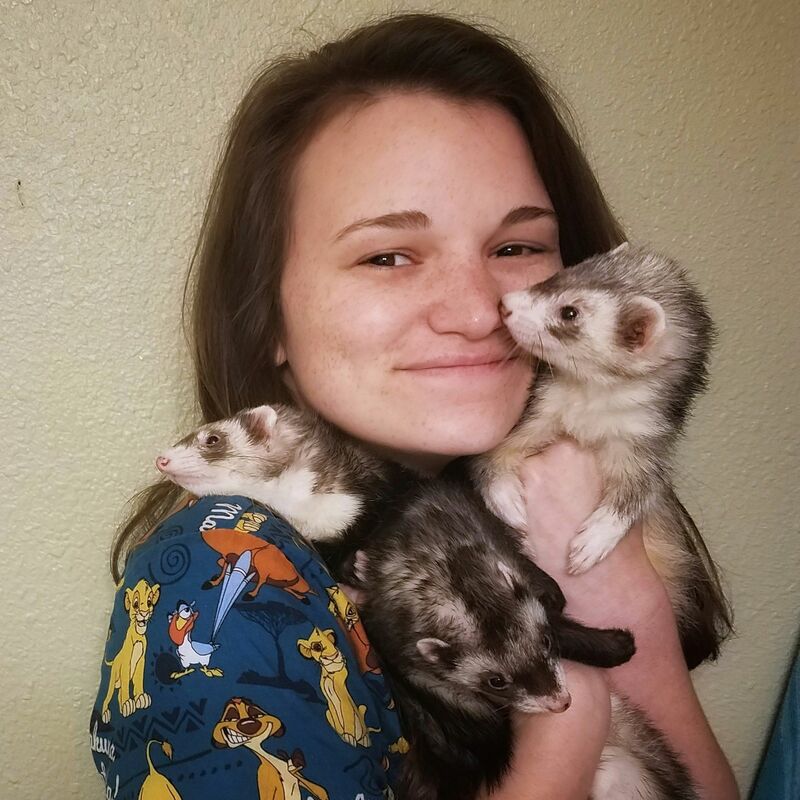 Although she loves all creatures, she has a special love for ferrets. At home she has 3 ferrets and a snake. In her spare time she enjoys playing video games and board games with friends or taking trips to Disney World.